Verified real estate agent reviews, profiles and ratings for top-rated realtors in Fredericksburg, Spotsylvania, Stafford, Dumfries, Woodbridge and surrounding areas in Virginia. Tina is one of the BEST realtors we have ever had, hands down. She is AWESOME, knows the area very well, and was a pleasure to work with. We have and will continue to recommend her to all of our friends. She is kind, honest, and generous. She listened to what we wanted, used her experience to point out issues that we might need to have addressed, and was incredibility professional. Even after our sale, we still maintain contact with her and consider her one of our friends. She understands the military lifestyle very well and understands the ins and outs of military moves. We continue to use her services to help us vet tenants for our rental house. © 2019 BRIGHT, All Rights Reserved. Information deemed reliable but not guaranteed. The data relating to real estate for sale on this website appears in part through the BRIGHT Internet Data Exchange program, a voluntary cooperative exchange of property listing data between licensed real estate brokerage firms in which Berkshire Hathaway Home Services participates, and is provided by BRIGHT through a licensing agreement. 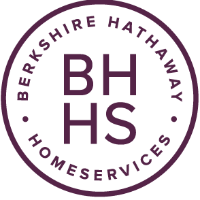 Real estate listings held by brokerage firms other than Berkshire Hathaway Home Services are marked with the IDX logo and detailed information about each listing includes the name of the listing broker. The information provided by this website is for the personal, non-commercial use of consumers and may not be used for any purpose other than to identify prospective properties consumers may be interested in purchasing. Some properties which appear for sale on this website may no longer be available because they are under contract, have Closed or are no longer being offered for sale. Some real estate firms do not participate in IDX and their listings do not appear on this website. Some properties listed with participating firms do not appear on this website at the request of the seller. Data last updated on 2019-04-22.